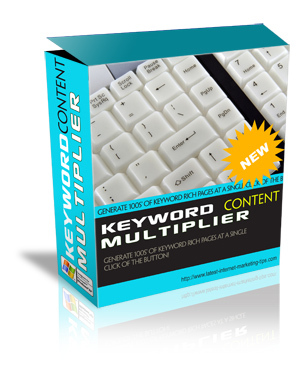 Keyword Content Multiplier can quickly insert your specified keywords into web pages, creating multiple keyword relevant pages in seconds. Perfect for PPC landing pages and allowing you to offer more relevant results to your visitors. Just add your individual keywords into the software or paste in from a list, add the special keyword tags into your web page content and your ready. Then let Keyword Content Multiplier get to work! This incredible software will then create individual pages for you based on all of your keywords.